Welcome to the all new Tortoise HQ! Hello and welcome to the new Tortoise HQ, a nice shiny new site. Firstly I big thank you to Eric Hamm of Frugal Webdesign for putting it together for me. There are a few changes to the layout, so I just want to take this opportunity to talk you through the site. You can now access SlowCasts and DeckChair TV episodes directly via the RSS feed in the 2 sections below, the podcasts will still be posted to my podbea site and iTunes, so you have plenty of choice as to where to see, the DeckChair TV episodes will still be uploaded as video podcasts but you will also be able to see them on YouTube and my new Viddler account. Incidentally Deckchair TV season 2 will be filming soon and will start to be uploaded in later summer. Hopefully. On the sidebar on the right you can sing up to RSS updates, see my twitter account (more about that in a future post!) and join me on Facebook. If you are new, click on the “New? 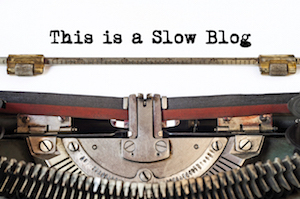 Start Here” link on the sidebar to learn much more and how to start slowing down. There is also a new calendar feature to keep you updated with events, including, trainings, talks and media appearances. I think that is about it! There are bound to be a few tweaks and changes so if you have any questions or comments, please leave feedback below or contact me via the contact form. Normal service will resume very soon. Keep checking back!